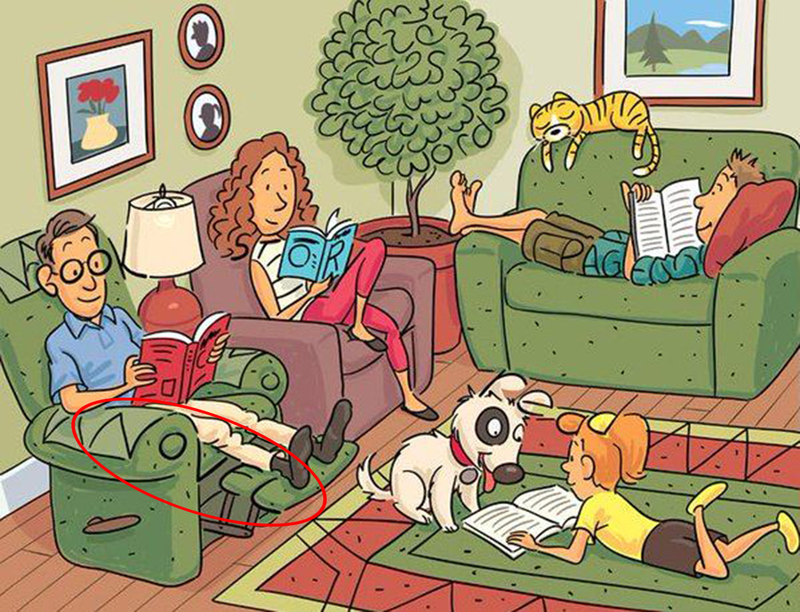 Can you spot the six secret words fiendishly hidden in this drawing? Highlights is a longstanding children’s publication that dates all the way back to 1946. A particular eye puzzle straight out of the classic publication is making its rounds online, challenging people of all ages to find the six words hidden in the picture. Below is a colorful cartoon drawing of a family sitting peacefully in their living room, each member enthralled in their own books. We’ve got Mom, Dad, brother, sister, cat, and dog — along with secret words scrawled throughout. Some words are easier to spot than others, and countless participants are saying this challenge took much longer than they thought! Can you spot the six hidden words? Did you find them all? Let us know, but don’t spoil the answers for others. Please SHARE this fun visual test with your friends!